Private Guitar tutoring lessons El Paso, TX. Check out some of our most popular teachers near El Paso, TX including Anthony, Fort Bliss and San Elizario. Vanity Fair has called El Paso “The Best Little Music City in Texas.” The local music scene has a rich history, and with musical influences from just over the border to the south, the El Paso sound is a unique blend of cultures, styles, and genres. As a guitarist, your instrument is in demand! If you’re taking guitar lessons in El Paso, you have many opportunities to continue your studies outside of the studio. Listening to other players and networking are important parts of a thorough musical life. So, let’s explore some of what the city has to offer to the up-and-coming guitar student. Listening to live music is a great way to gain an understanding of the possibilities of your instrument outside your guitar lessons in El Paso. The city offers music lovers the opportunity to hear all genres of music every night, including jazz, rock, pop, and Tejano music. Rock is a mainstay of the El Paso scene. Whether it’s local bands playing original music, or the best tribute acts in the South, they all have a home at the Speaking Rock Entertainment Center. This venue is home to several stages that feature the best tribute bands and local rock artists. Another great venue for live blues, original rock, and Latin music is King’s X. A big supporter of the local scene, King’s X features jam sessions every Wednesday night and they alternate between blues jams (on the first and third Wednesdays) and straight up rock-and-roll jams (second and fourth Wednesdays). If you want to show your stuff after your guitar lessons in El Paso, stop by King’s X on a Wednesday night to get your jam on! Thursdays feature salsa, bachata, and merengue dancing to live Latin music, and, on Sunday nights, the best local and national blues artists grace the stage! If your musical taste runs toward jazz, El Paso is home to several clubs that feature live jazz music. One of these is The Black Orchid Lounge. This modern speakeasy has a unique atmosphere, and it compliments the live jazz bands that it features. With its moderate climate, El Paso hosts music festivals year round. Festivals are a great way to spend a day or a weekend, checking out amazing guitarists. Additionally, the El Paso Conservatory and UT El Paso both offer extensive music schedules, featuring performances by both music students and faculty. This is just a sample of what El Paso has to offer to the local guitar student. While taking guitar lessons in El Paso, head out and experience the live music scene! You’ll be a better player for it. I focus on teaching you to play guitar through the music you enjoy listening to. If you enjoy what you are playing then you will be inspired. If you are inspired you will practice and if you practice you WILL get results! The focus here at my guitar school is on teaching you to play guitar through the music you enjoy listening to. If you enjoy what you are playing then you will be inspired. If you are inspired you will practice and if you practice you WILL get results! There are plenty of other guitar teachers out there so why would you want to learn from me? The simplest reason I can give is because I really care. I will do whatever it takes to insure you fully understand and can play everything I teach you. I'll be there with you every step of the way! ~ We'll jam on these songs along with full band backing tracks. You'll be the guitar player in the band! Next, we'll record your performances and create cool videos with them. ~I'm there for you whenever you need help! Just go to your student classroom, view any of the video lessons and if you still have questions go to the chat room and ask away. I'm here to help! Don is patient and mixes up the curriculum so you become well rounded and see results quicker than you would expect! Don does a great job with our son. He has been taking lessons for going on two years. I have recommended him to many people. I asked questions, Don answered them. Very personable, to me, seems to know a great deal about teaching guitar. Looking forward to my next lesson. I teach Acoustic or electric guitar. Specialize in younger players. I believe in fostering a love of the instrument, and teach in a manner that is centered around enjoyment. I use Mel Bay Guitar method in most cases. Music should be fun, but just like anything, we must learn the techniques to become proficient. My goal is to help not only students learn to play the guitar, but also offer correlate it to other parts of their lives to enhance understanding. Students will first be taught simple melodies, followed by some chords and rhythm guitar. Hello, my name is Amy and I am very excited to be teaching out of my studio, Double A music. I took 12 years of private music lessons on various instruments. I have taught for about 9 years, and have an associates degree in teaching from Western Technical College in La Crosse, Wisconsin. I am also certified to teach Piyo. I have been attending Piyo classes for over a year and have been teaching since September 2018. I enjoy helping students succeed in many areas of music, such as school orchestra, performing solo, accompaniment, improvisation, and more. I understand each student's needs will vary and provide a variety of methods and supplement materials for this purpose. As a Piyo instructor I will help you individualize your lesson to meet your fitness goals. l ask you a couple questions to help us both prepare for your first lesson. I will also send you a copy of my lesson policy. I look forward to meeting you! -What makes my lessons unique is communication and customization. I make extra practice videos, print outs (sent by email) and my lessons are custom for every student. -How to hold a guitar. -How to tune your guitar. -Choosing the right guitar pick for your style. -Guitar exercises to help finger mobility. -Tips and songs to help with strumming chords. -Learn how to use YouTube to your advantage. -Learn to read guitar tablature. -Learn the tools you need to continue learning on your own. - A fun and friendly experience/environment. -Great for beginners/intermediate players who may be too shy to meet someone in person for lessons. -No driving so you save gas/time. I teach local and Skype Beginner, Intermediate and Advance guitar lessons. You will have a direct contact with me Monday-Saturday for any questions that may arise after our lesson during the week. I make extra practice videos, e-mail PDF files and my lessons are custom for every student. Thanks for taking time to read my profile. With over 10+ years of experience and having taught all levels of Guitar within most proficiencies, I'm sure I'll be able to accommodate you for whatever your personal interest within guitar might be! Popular curriculums revolve around Guitar Performance Techniques, Learning Music Theory and building chords, Songwriting and improvising, to Music Production within emphasis on Guitar. If there's a particular lesson you want to learn, feel free to message me and we'll take it from there! 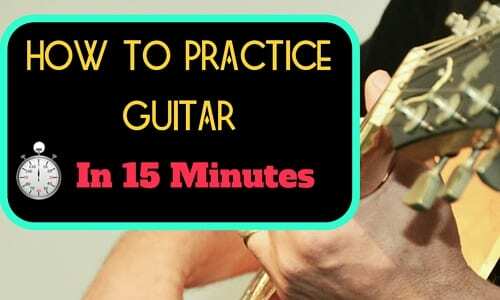 I'll be able to help you become a more rounded musician by using the Guitar as the main focus. I find myself extremely fortunate being able to combine my experiences and University Degrees in Music Production, Film Scoring, Songwriting and Guitar Education with you all! The best part of music is that it all connects with itself. Learning the Guitar, then wanting to learn how to write your own songs. But then you ask yourself "Wouldn't it be cool to record it and hear it back?!" And then learning how to edit your music and start adding other elements to it, to make it a more produced song, to then realizing how simple the process can be when it's all done. Again, it's not what you're learning that hooks you back for more, but "HOW" you're learning all this tools. able to the real world. I promise you, based on the route and goal you want to achieve, you'll be able to tie it all together and see music from a non intimidating and approachable point of view. Music Production: We'll explore how to go about creating music with a computer. Composing, Editing, Mixing. Film Scoring: Everything from ground zero in how to write music for Film, TV, and Video Games. Guitar: Learning the instrument, Learning chords, how to improvise, learning the songs you want to learn, some music theory through the guitar. Songwriting: What makes a song a song? The musical elements, the lyrical motives, and blending it with commercial music patterns. I am thrilled to be able to pass on as much music knowledge to you all and see where the journey of music takes you on! Iran is everything you would want in a teacher: professional, knowledgeable, fun, passionate, and caring. Two thumbs up! Iran has so much knowledge about music technology, recording & production! He is very precise when trying to explain terms and techniques to any type of student from beginner to expert. Highly recommend! The lesson with Iran gave me so much more than I had expected, and helped me to focus on some production items I was made aware of. He isnreally knowlegeable, and freely gives help with a lot of useful tips. I enjoy giving lessons tailored to each student's needs and goals. From those who have never picked up a guitar to those who are auditioning for a major music college, I love to help others learn how amazing the guitar is. My style is geared toward the individual, but I do specialize more in teaching: songwriting on guitar, music theory on guitar, developing great technique, how to read notes and tab on guitar, and learning my student's favorite songs and adapting them to fit their skill level. I have been teaching guitar for over twelve years, and have professional songwriting experience (over 50 compositions published), band and recording experience (major radio-play in America and Europe), and I am classically trained and have a degree in music. Let me help you achieve your music dreams! Can't find a teacher in El Paso, TX? "Mark was very informative can't wait to get going.got homework to practice should be fun"
El Paso, TX teacher: Mark F.
"Mark teaches from different perspectives, excellent first lesson and I'm looking forward to being his student for future lessons!" n't the case! I've learned so much in the short couple months taking lessons from him. I would recommend him to anyone of any skill level. Very helpful and kind. :)"